Trainees will work alongside an Executive Officer and will gain substantial experience of a particular aspect of Amnesty International’s European advocacy and campaigning work. All information can be found on the Amnesty International EIO-website. The objective of this exciting programme is to consider issues concerning the rights of the child that are a matter of current legal, political and societal debate, both internationally and comparatively. These include violence against children, child participation, child poverty, andchild rights monitoring and advocacy. Within the framework of an interdisciplinary research project coordinated by the Centre on Migration, Asylum and Multiculturalism (MAM-ULB), the Perelman Centre for Legal Philosophy and the Legal Section of the Institute for European Studies (ULB) offer one PhD scholarship in Human Rights Law. The interdisciplinary research project (ARC – Action de Recherche Concertée) 'Under the Paradigm of the Merit and the Cultural Conformity. The New Integration and Migration Policies in Europe' is coordinated by Andrea Rea and Dirk Jacobs (Social Sciences, GERME), Emmanuelle Bribosia (Law, Institute for European Studies) and Isabelle Rorive (Law, Perelman Centre), Assaad Azzi and Laurent Licata (Unity of Social Psychology), Benoît Pilet (Political Science, CEVIPOL), Gilles Van Hamme (Geography, IGEAT). The topic of the PhD relates to the paradoxical use of the equality principle in antidiscriminatory and integration policies. Detailed information about this project can be found here. Duration of the contract: 4 years (1 October 2013 – 30 September 2017), one year contract, renewable three times. Place: Brussels, Perelman Centre for Legal Philosophy and Institute for European Studies. Salary: PhD grant of ca. €1,700/month. • Master in Law (120 ECTS), granting admission to a PhD in Law. • Excellent skills in French and very good skills in English (written and oral). • A diploma in another field than law (philosophy, sociology, political science) will be considered as an asset. • Experience in human rights law (e.g. research activity or internship) will be considered as an asset. • Completion of a PhD. • Participation in the research activities of the centres (e.g. participation in seminars, international conferences, presentation of papers). • Contribution to administrative tasks. by 31 May 2013, 23:59 CET. Selected candidates will be interviewed in Brussels on Monday 10 June 2013. If necessary, a second round of interviews will take place on Thursday 13 June 2013. For additional information, please contact prof. E. Bribosia at ebribo@ulb.ac.be and prof. I. Rorive at irorive@ulb.ac.be. 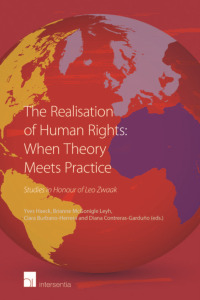 Within the framework of the Inter-University Attraction Pole project 'The Global Challenge of Human Rights Integration: Toward a Users’ Perspective', the Perelman Centre for Legal Philosophy and the Legal Section of the Institute for European Studies (ULB) offer one Postdoctoral scholarship in Human Rights Law. 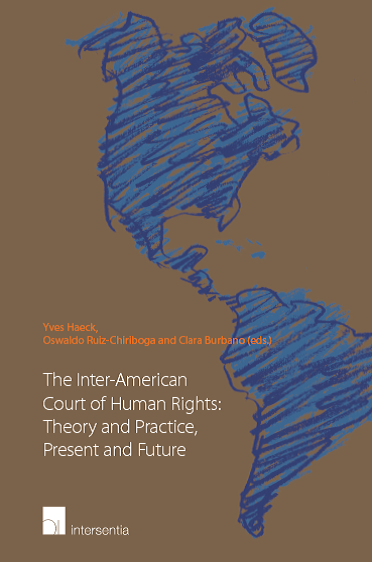 This research project departs from the observation that both rights holders and duty bearers in human rights law are confronted with a multitude of provisions differing in scope, focus, legal force and level of governance. This non-hierarchical accumulation of provisions has resulted in a complex and uncoordinated legal architecture that might hamper effective human rights protection. In this context, the core research objective of the proposed network is the study of human rights as an integrated body of law from a user perspective. This project is coordinated by several professors in five different Belgian and one Dutch university: Eva Brems (UGent), Dirk Voorhoof (UGent), Yves Haeck (UGent), Koen De Feyter (UA), Paul De Hert (VUB), Stefaan Smis (VUB), Sébastien Van Drooghenbroeck (FUSL), Emmanuelle Bribosia (ULB) & Isabelle Rorive (ULB), Barbara Oomen (Utrecht University). For more information on the HRI project which started in October 2012, visit the project website of (in particular work packages 1, 2, 3 and 6). Duration of the contract: 2 years, starting on 1 October 2013 (1 year, renewable one time). Salary: Post doc. grant of ca. €2,200/month. • Excellent language skills in English and in French (written and oral). • A diploma in philosophy, sociology or political sciences will be considered as an asset. • Experience in human rights law will be considered as an asset. • Between 1 October 2010 and 30 September 2013, the time of residence in Belgium should not exceed 24 months. • Between 1 October 2010 and 30 September 2013, no principal activity should have been carried out in Belgium for more than 24 months. • Research activities within the scope of the HRI project and contribution to collective research. • Organisation of an international conference (May 2014) and PhD seminars. • Contribution to administrative tasks and coordination with other HRI partners. Privacy International (PI) was founded in 1990 and has active associates and networks in 47 countries. Its mission is to defend the right to privacy across the world, and to fight unlawful surveillance and other intrusions into private life by governments and corporations. The vision of Privacy International is a world in which privacy is protected by governments, respected by corporations and cherished by individuals. PI believes that technological developments should strengthen, rather than undermine, the right to a private life, and that everyone’s personal information and communications must be carefully safeguarded, regardless of nationality, religion, personal or economic status. Privacy International is currently recruiting a Policy Officer. The role of the Policy Officer is to work with the Legal Officer and Head of Research as part of the Big Brother Incorporated project to raise the profile and understanding of issues related to the export of surveillance technology in the UK and internationally. The Policy Officer will also coordinate an international campaign for introducing export controls on surveillance technology. 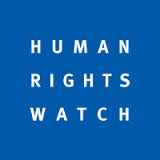 Human Rights Watch (HRW) is one of the world’s leading independent organizations dedicated to defending and protecting human rights. By focusing international attention where human rights are violated, Human Rights Watch gives voice to the oppressed and hold oppressors accountable for their crimes. Through rigorous, objective investigations and strategic, targeted advocacy Human Rights Watch builds intense pressure for action and raise the cost of human rights abuse. For more than 30 years, Human Rights Watch has worked tenaciously to lay the legal and moral groundwork for deep-rooted change and has fought to bring greater justice and security to people around the world. The Brussels Office of Human Rights Watch has a opening for International Justice Program intern. The Human Rights Centre of Ghent University is currently accepting applications for a doctoral researcher. This is a 4-year position starting on 1 October 2013. The researcher will be working under the supervision of prof. Eva Brems. She/he will be conducting research on 'regulating divergence within the multilayered human rights sytem: identifying the tools'. This research is situated within an Interuniversity Attraction Pole (IAP) project on 'The Global Challenge of Human Rights Integration: Toward a Users' Perspective'. More information on the project can be obtained from prof. Brems (eva.brems@ugent.be).